Coconut oil is one of the few foods that can actually be classified as a superfood. There is such a hype surrounding the product that it really makes you wonder what the sudden ubiquitousness of this tropical plant is all about. Coconut oil contains what is known as medium chain fatty triglycerides, which are fatty acids of a medium length. Most are considered to be long-chain in fatty acids, but coconut oil is metabolized differently. They go from the liver to the digestive tract, where they are then used as a quick source of energy. Coconut oil is still considered to be an exotic food in our Western Society, primarily consumed by health conscious people. In some parts of the world, however, coconut oil is a dietary staple. In the South Pacific, they eat over 60% of their calories from coconuts, and they are the largest consumers of saturated fat in the world. They also have excellent health, not even a shred of evidence leading to heart disease. One 2009 Study looked at the weight loss link between consumption of coconut oil and found that it reduced abdominal obesity. Coconut is easy to digest, and also protects the body from insulin resistance. The lauric acid in coconut oil can kill bacteria, viruses, fungi, and help stave off infections. When the oil is enzymatically digested, it forms a monoglyceride known as Monolaurin. Lauric acid and monolaurin help to kill harmful pathogens like bacteria, viruses, and fungi. A ketogenic diet is a low carb diet that is very high in fat; this leads to increased concentrations in ketone bodies in the blood. For some reason, this type of diet can reduce the rate of seizures in epileptic children. Many people suffer from digestive issues; those people should consider adding coconut oil into their diets. 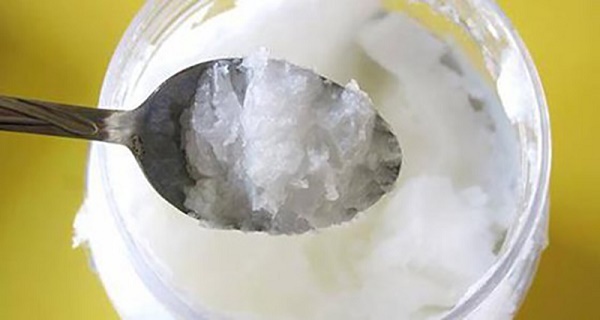 Coconut oil benefits digestive disorders including IBS and microbial stomach bugs. The fatty acids contain antimicrobials that have a soothing effect on bacteria, candida, and even parasites that cause poor digestion. A recent study done by the Garvin Institute of Medical Research showed that coconut oil helps to protect against insulin resistance, thereby reducing the risk of type 2 diabetes. Because of the medium chain fatty acids, coconut oil has a higher smoking temperature than most oils. You might find that you like it better than your usual olive oil, especially if you are cooking recipes that require a higher cooking temperature. Olive oil oxidizes when it reaches smoke point causing free radicals. Coconut oil is not just for consumption, but it has many beauty benefits as well! It helps to keep the connective tissue strong, preventing wrinkles and skin sagging. Apply the oil directly to your face to soften the appearance of fine lines or use it daily to give a lovely moisturizing glow! One of the best things about coconut oil is that it can reduce hunger. It may be related to the way that fatty acids in it are metabolized, because of the ketone bodies can have an appetite reducing effect.